You deserve a smile you love, one that makes you happy and that you're proud to share with the world. Cosmetic and general dentists Drs. 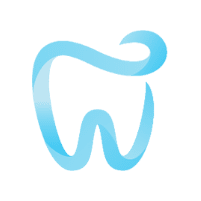 Daniel Butensky, Richard Procopio, and David Dersh, at the Dental Studios in Summit and Westfield, New Jersey, specialize in making patients' smile dreams come true with full and partial smile transformations. Whether your smile could use a touch-up or cries out for a complete restoration, call the Dental Studios or book online for a consultation today. No two smile makeovers are the same. Drs. Butensky, Procopio, and Dersh offer complete and partial makeovers personalized to match your aesthetic goals and dental health. A smile makeover means having one or more cosmetic dentistry procedure to enhance your smile. This can be as simple as whitening your teeth or as comprehensive as a full mouth reconstruction. Your smile makeover may include one or several of these options. Drs. Butensky, Procopio, and Dersh explain the pros and cons of each and answer questions about whether a particular procedure is right for you. Then, it's time to discuss your choices for a smile makeover. Drs. Butensky, Procopio, and Dersh place a high priority on patient education. They partner with you to design a makeover treatment plan. For an extra fee, Drs. Butensky, Procopio, and Dersh can show you what the results of your smile makeover might be. You can then decide if you want to move forward. Enjoy what you see? Keep moving with your smile makeover! The amount you already paid will be applied to the cost of your procedure. Drs. Butensky, Procopio, and Dersh believe in a conservative approach to dentistry and won’t recommend a procedure unless it benefits the health and beauty of your smile. The team advocates for accessible and affordable cosmetic dentistry. That's one reason the Dental Studios welcomes the CareCredit payment program so that you can easily finance your smile makeover. If you want a whiter, brighter, more beautiful smile, call the Dental Studios or request an appointment online today.